NEW YORK, April 4 (Reuters) - US companies cannot stop talking about marijuana, hoping in part they can catch investor interest as the booming economy around the drug lifts revenues throughout the supply chain writes David Randall. Cryogenic equipment manufacturer Chart Industries Inc told analysts on Feb. 14 that "cannabis has double-digit growth potential for us" as more grow houses use liquefied carbon dioxide in the extraction of marijuana. Point of sale company Socket Mobile Inc said on Feb. 13 that cannabis dispensaries are "ideally suited to iPad-based point-of-sale solutions for accounting and regulatory compliance." And private security company Brinks Co said on Feb. 6 that its North America segment should have "another strong year" due in part to the growth of the cannabis industry. "You're starting to see a repurposing of the supply chain and that could give some companies another leg of growth," said Chris Retzler, a portfolio manager of the Needham Growth fund. "This has the potential to drive revenues higher and lead to some earnings surprises." In a sense, many companies are looking to replicate the strategy of lawn and garden products company Scotts Miracle-Gro Co, which has transformed itself over the last four years into a player in the cannabis industry by focusing on the sales of lighting, fertilizer and growing systems specifically for marijuana. Shares of the company, which acquired a competitor in hydroponics for $450 million in 2018, are up nearly 30% for the year to date, a rally about double that of the benchmark S&P 500. 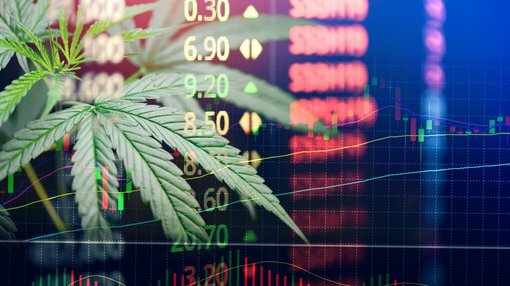 For supply chain companies like Chart Industries, revenue from cannabis "realistically could be a couple of percentage points a year," said Pavel Molchanov, an analyst at Raymond James. "In the Gold Rush it was the people who were making the picks and shovels for gold miners that made the most money. This is a case of a company that has absolutely nothing to do with cannabis historically, yet it's benefiting from the picks-and-shovels opportunity," he said. "Historically we did not focus on these markets, but now we have dedicated teams both commercially and technical (engineering/product development) to develop these markets further," she said. "I was on a Balchem conference call a few weeks ago and we asked the company if they were considering getting into cannabis, and the CEO talked about how we've been supplying minerals to grow houses," he said. "I literally watched the stock jump 2% from the time I asked the question to the time he answered it. Anything associated with cannabis today is getting an increase in market value."